In the early 1950s, Nick Horman's grandfather was looking for work. He created a job for himself when he bought a pickle route in the Flatbush section of Brooklyn. With the purchase, he became the first pickle businessman in the now three-generation family company. Nick grew up around the pickle business. He likes to shares a story about how one time, as a boy, "my father had me work the line, but it wasn't for me yet. I decided it would be better to split and go have cookies with my grandma. My Dad still gives me a hard time about that one." Nick's commitment to the business emerged during college, as he started running a few pickle stands at various venues. He was studying Philosophy and Business at the time. He got his first hard knocks business lesson when he had a fledgling pickle stand at the Aqueduct Racetrack in Queens. "I didn't know anything about merchandising yet," he explains, "I didn't have enough variety and I didn't even have barrels for the pickles." A lot has changed since then. 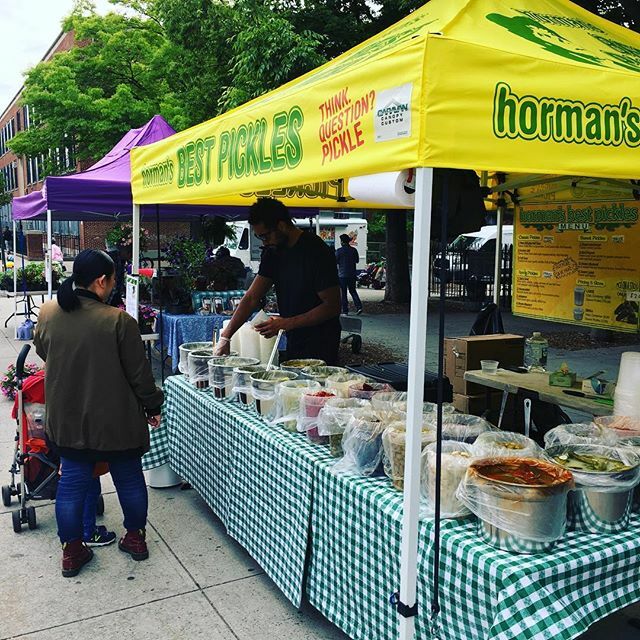 Today, Nick, and the whole crew at Horman's, base their product line on his grandfather's pickle recipes and expand it every year with new items. "We experiment with pickling different veggies – whatever is in season. From there, we move forward based on our customers' reaction and what's fun to make," he says. At the farmers market, Nick refers to the market "family" in talking about regular customers and fellow vendors. "I love being a part of the farmers market scene," Nick says, "We become a part of the community." He adds, "I love being in business for myself. It's a gift. I'm humble and grateful to be born into this – and to have the opportunity to build it."